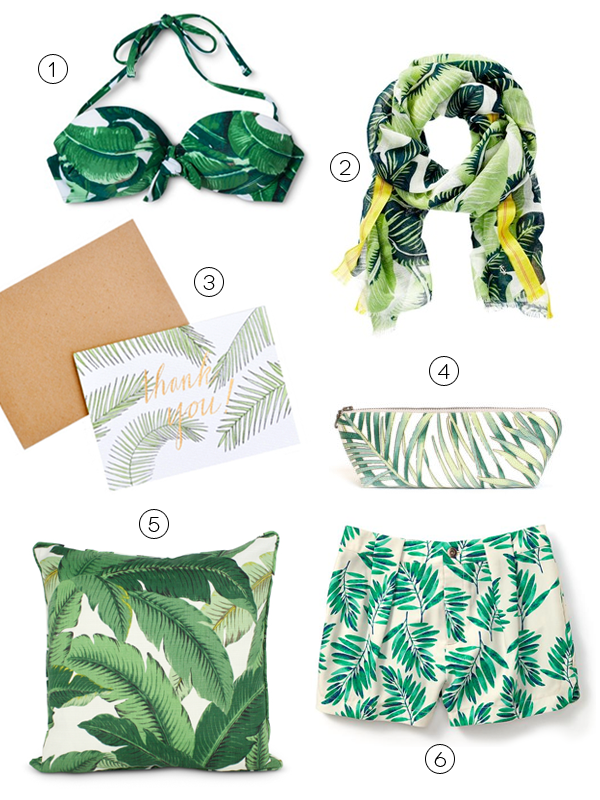 In an effort to ignore the fact that it is now mid-August, I thought I'd share my latest obsession with everything palm printed. I love the casual vacation-vibe it instantly creates when added to an outfit or a home's decor, without looking touristy or too contrived. It's also a subtle nod to the iconic wallpaper at The Beverly Hills Hotel, which makes me want to pack my bags stat! Clearly I am dreaming of an end of summer escape, but for now, dressing the part will have to do as I squeeze in as much pool time as I can before Labor Day!